No, you are not just imagining it, there is an abnormally higher amount of dashing gentlemen queuing for the tube this morning. There's a greater percentage of Prince of Wales check three-piece suits, next season's Dunhill umbrellas, pristine trainers and extraordinarily shiny brogues on the streets today. Charing Cross station has suddenly become a hub of chaps with chiseled jawlines and Douglas Booth–level charms. It's not raining well-dressed men, rather, the London Collections Men—that’s LCM for the time-poor—has teed off today )and draws to a close on 11 January) with brands such as J.W.Anderson, Topman, Barbour, KTZ and Lou Dalton hitting the runway. LCM laser-focuses on the British offering for premium men’s clothing and showcases emerging talent on the catwalk and, of course, backstage in the form of breakthrough makeup artists, stylists, and, notably, designers. It draws a handsome FROW (#ConstantObsession: David Gandy, David Gandy, David Gandy) to its two show spaces: Victoria House and 180 Strand—a formerly derelict building restored to its former glory for the Louis Vuitton Series 3 exhibition, and later playing host to Christopher Kane and Thomas Tait catwalk shows. "LCM has already become a staple of the menswear calendar, and is a fabulous way to kick off the season. We have all been overwhelmed by the enthusiasm for the project, and the scale and ambition of all the many designers who are now showing here is incredibly infectious," says Dylan Jones, Editor at GQ & Chair of the Menswear Committee. "To those of you who have yet to come to LCM, all I can say is: come on in, the water's lovely!" Androgynous dressers and boyfriend-cut enthusiasts should keep a close eye on the next few days to capture the cutting edge of Savile Row tailoring trends that belong in the girls' changing room just as much as the boys'. Scroll down to shop our favourite menswear pieces that we want to wear now. 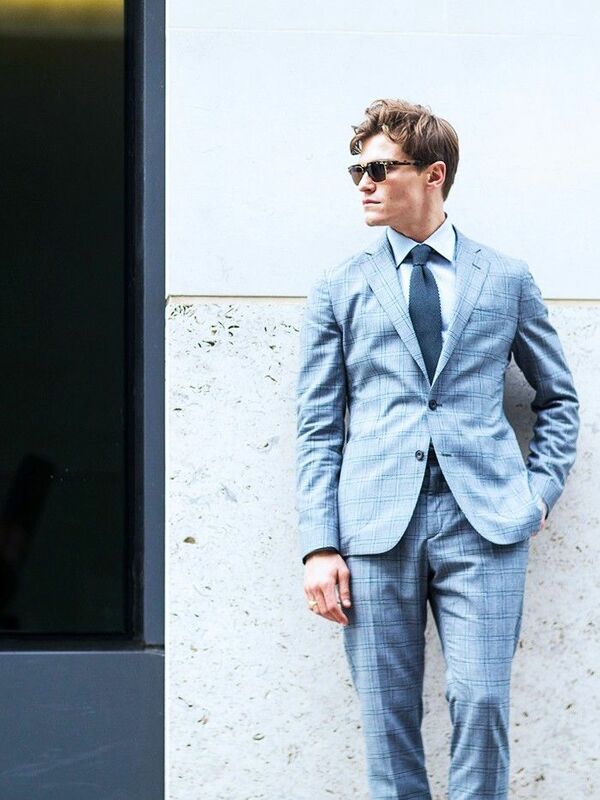 Do you prefer men to wear sports luxe or smart suits? Comment below, we want to know!